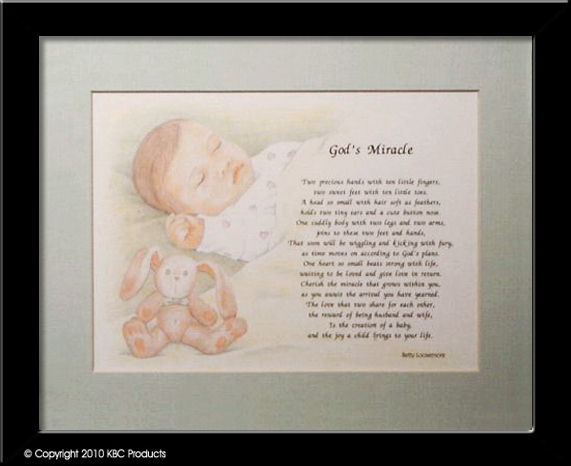 KBC Products - Beautiful Keepsakes for Expecting Parents. Christen the arrival of your special addition with a beautiful keepsake. 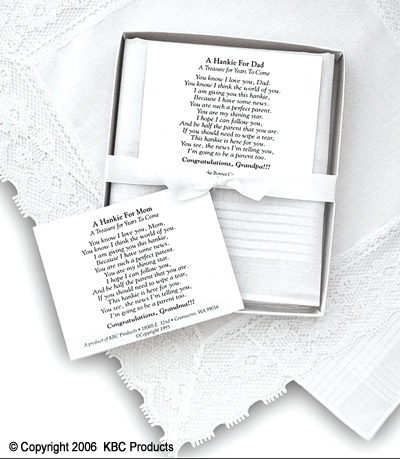 A special handkerchief for Mom or Dad to announce the news that you are expecting. Mom's hankie is white cotton with a white lace border. Lace patterns will vary. Dad's hankie is a men's white cotton hankie. Packaged in a clear gift box. A white cotton hankie with a lace border has been cleverly made into a corsage. 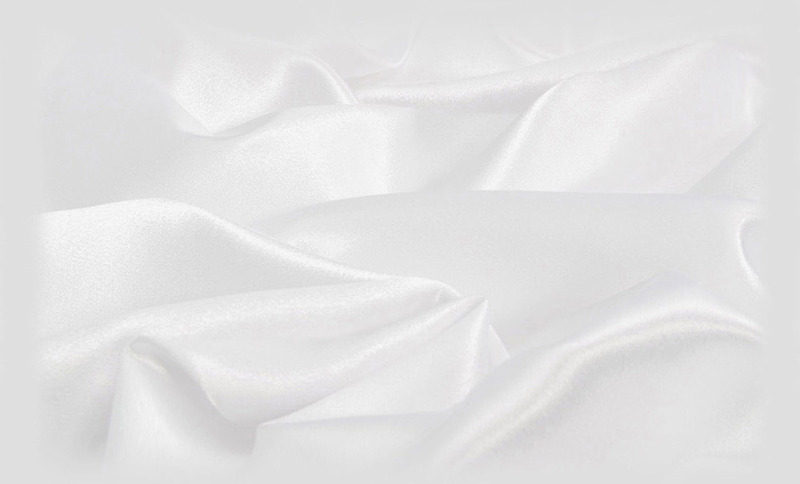 We have added white satin leaves and an embroidered flower. The corsage makes a perfect gift for a mommy-to-be to wear at her baby shower. If the baby is a girl, years later the corsage is taken apart and carried as a wedding hankie. If the baby is a boy, he gives the hankie to his bride to carry. 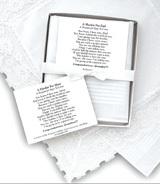 Included are a sweet poem and a corsage pin. 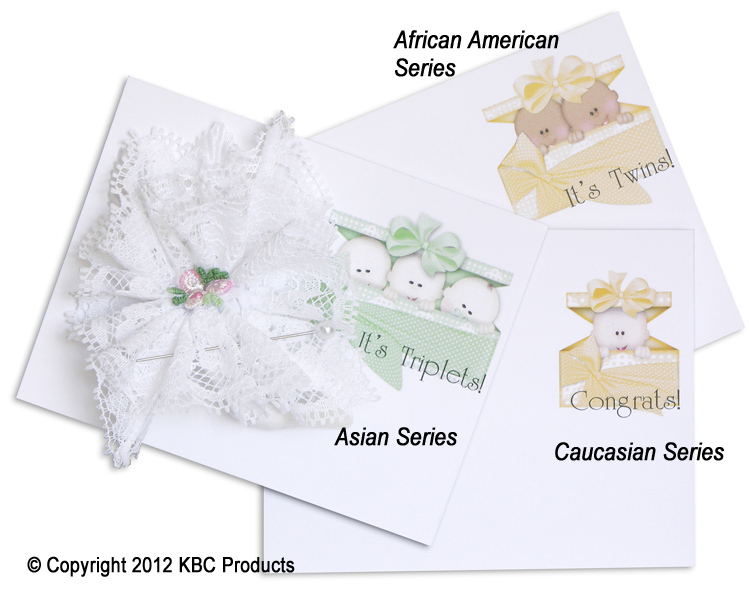 Packaged in a clear gift box and now available with Caucasian, African-American and Asian baby art. A heartfelt poem for an expecting mother. "The love that two share for each other, the reward of being husband and wife, is the creation of a baby, and the joy a child brings to your life. Packaged in a cellophane sleeve.